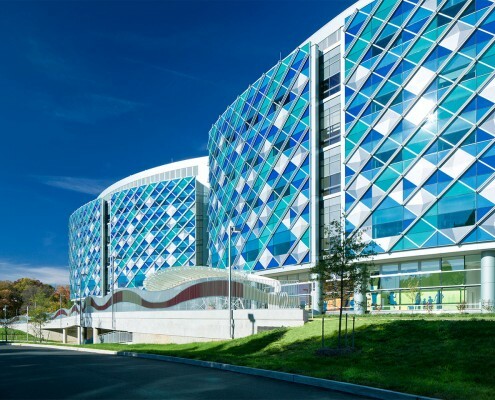 Nemours / Alfred I DuPont Hospital for Children is ranked one of the best Children’s hospitals in the country, and plans to open a new five story, 425,000 square foot patient care facility on their Wilmington, Delaware campus. Hatzel & Buehler was awarded the ‘Site Lighting’ Package for this expansion and will be providing and installing all exterior fixtures, conduit, wiring and pole bases for the expansion, parking garage and the surrounding landscape. Hatzel & Buehler will also be running the conduit for the exterior security cameras.